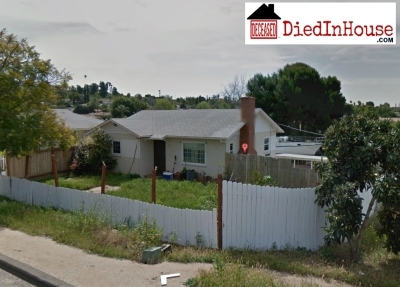 DiedinHouse.com -- The house in Fallbrook, CA where a women was murdered in its basement in 2012. The house was eventually sold in January 2014 to an unsuspecting couple. Even though CA has a Stigmatized Property law that states a death at the address that has occurred within three years of closing has to be disclosed, in this case it was not. Because the home was in foreclosure, the bank that sold it was not under any legal obligation to disclose a death in the house. CA Civ Code: 1710.2. (a) No legal action can be taken against an owner of a property or his or her real-estate agent for not disclosing to the buyer, a death at the property that occurred more than three years from the date it was sold or rented. Each DiedinHouse.com Report Includes Past Fire Related Incidents, Reported Meth Lab Activity, Records of Death Occurrences and a List of Names Associated to the Address!